It’s time to jump forward a hundred years from the subject of my last post. Here’s a peek at a pleasing, albeit staged, scene of domestic happiness. I love these old stereoviews because the photographers often took such pains with the props, trying to tell a story. 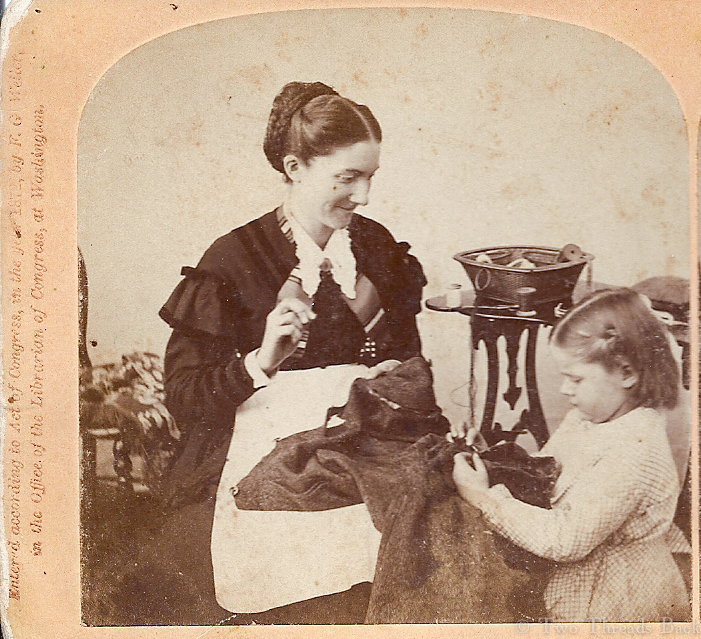 And if the subject is sewing or 19th century domestic life, that makes me very happy! The photo on the right side, because sometimes they’re slightly different. She may be seated in a woven cane chair, and she definitely has a sewing basket beside her on the table. It looks like the kind with small pockets fixed to the sides. 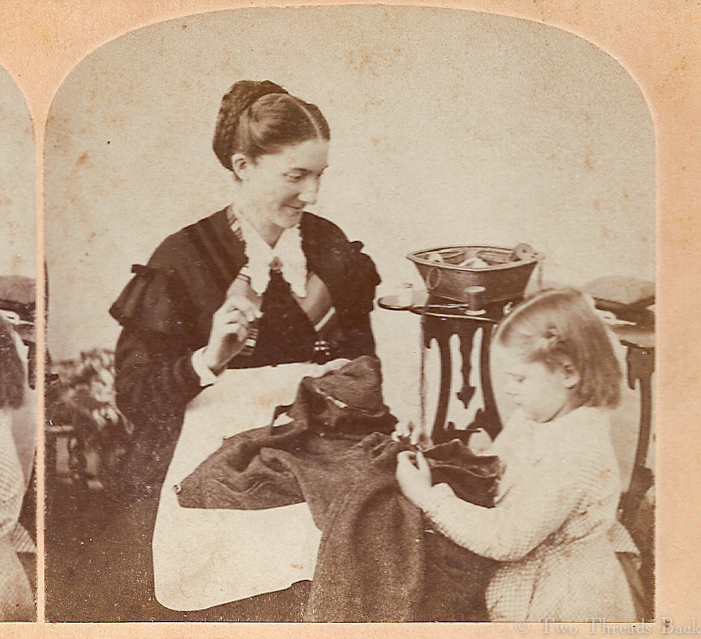 The little girl’s checked dress may be an apron or pinafore, though I can’t quite tell. This card is dated 1872, but I’ve seen another version dated 1871. Mama sewing, daughter sewing: seeing double indeed! The stereoview card, full size. This entry was posted in 19th Century, Antique Sewing Tools & Crafts, History and tagged 19th Century, Antique Sewing Images, History. Bookmark the permalink. I like everything about the image, but especially the expression on mama’s face. I agree! At first I thought she wasn’t very attractive for a model, but the more I look, the kinder and prettier she appears. And happy.